Police issued a warrant for devices surrounding a potential homicide. Google was served at least four sweeping search warrants by Raleigh, North Carolina police last year, requesting anonymized location data on all users within areas surrounding crime scenes. 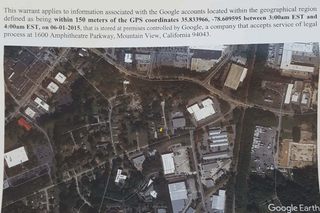 In one case, Raleigh police requested information on all Google accounts within 17 acres of a murder, overlapping residences, and businesses. Google did not confirm or deny whether it handed over the requested data to police. WRAL reporter Tyler Dukes found four investigations in 2017 where police issued these uniquely extensive warrants: two murder cases, one sexual battery case, and an arson case that destroyed two apartment complexes and displaced 41 people. Police routinely request information from technology companies—Google says it shares data with law enforcement about 81% of the time—but these specific cases are remarkable: Instead of finding a suspect, and then searching that person’s data, police are searching enormous amounts of data to pinpoint a potential suspect. The warrants follow the same template: Police requested location data from all phones that were in the surrounding area of a crime scene, generally within an hour window of when the crime was committed. In the homicide and sexual assault warrant, police drew a box surrounding the scene of the crime, then requested the data for everyone within it. In the second homicide case, it was a circle. 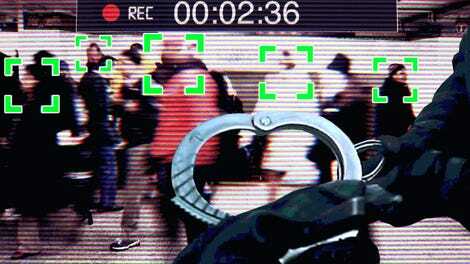 Police in each case were requesting account identifiers, an anonymized string of numbers unique to each device, and time-stamped location coordinates for every device. Police wanted to review this information, narrow down their list, and then request user names, birth dates, and other identifying information regarding the phones’ owners. This information doesn’t reveal actual text messages or phone call logs. For that information, police would have to go through a separate warrant process. Disturbingly, if Google has handed over data, it could be under court order not to notify individual users. Google declined to say whether it released data in any of the Raleigh cases, but representatives from the ACLU and EFF reviewed the warrants, questioning Raleigh PD’s justification for the alarmingly broad search. For example, the arson and sexual battery cases don’t mention whether the attacker even had a cell phone. The warrants say police are also interested in locating potential witnesses, but does that necessitate this level of search? Investigations are still ongoing for all four cases. So far, only one has resulted in a suspect being arrested.